I can hardly believe it is March already. I guess time flies when you are having fun, and I am certainly doing just that when I get to play with these fabulous stamp plates from Sin City Scraps. 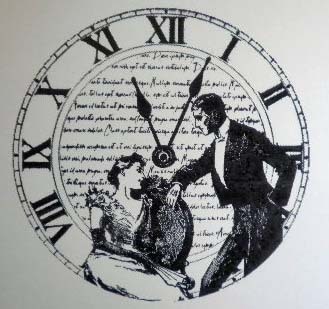 Today, I am using one of the images from the Sin City Scraps Clocks and Birds Rubber Stamp Plate. I also made another wonderful discovery. I found yet another die that fits another clock on this plate. So, check out our own inventory of dies and see what you can come up with to work with these wonderful stamp images. 1. Stamp image onto Specialty Stamping Paper using Black archival ink. You want to use a waterproof ink so that it will not bleed during the coloring process. 2. Pick up various colors of Terri Sproul's Mixers with a water brush and color the image. You can see where I was testing my color choices out on the perimeter of the paper before actually coloring my image. 3. Blend Bundled Sage and Evergreen Bough distress inks to image. 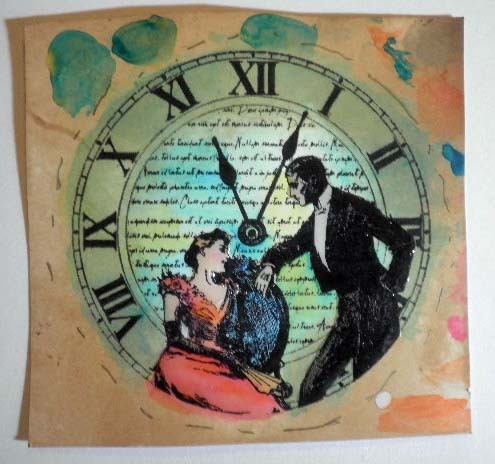 Add Old Paper Distress Ink to image to make it more vintage looking. Apply a coat of 3D Crystal Lacquer to both the man and woman images. The dimension it gives is subtle, but very effective. 4. 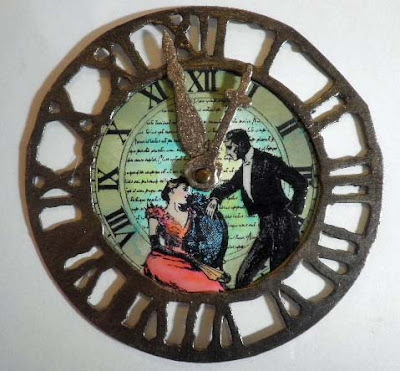 Die cut weathered clock from chipboard. I ultimately did not use the two elegant scrolls pictured. 5. Paint the clock and clock hands (not pictured) with burnt umber paint, let dry. 6. Cover the clock with one step crackle medium, let dry. 7. 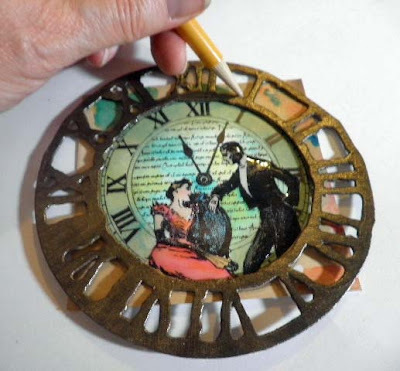 Add a light coat of metallic copper acrylic paint, let dry. 8. Use a foam blending tool to apply Black Soot distress ink. 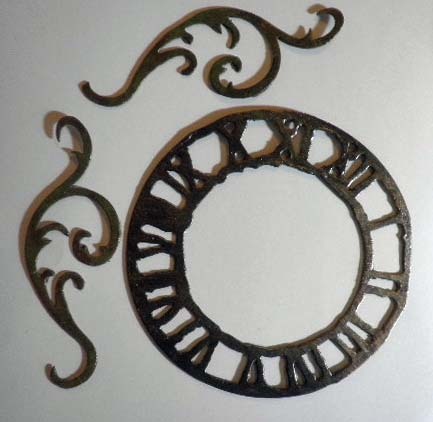 This step really gives the clock a distressed and aged look. 9. 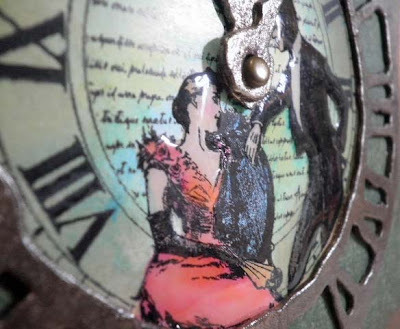 Place clock diecut over stamped image and draw pencil marks around the clock to determine where to trim the image. (See photo above). 10. Glue die cut over image, as shown. Attach both clock hands to center of image with a brad. 11. 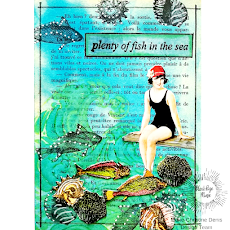 Choose a piece of coordinating printed scrapbook paper, trim to 4-3/4" x 6-1/4". Dry brush edges with copper metallic paint. Adhere to card front. 12. Distress edges of card front with Old Paper Distress ink. 13. 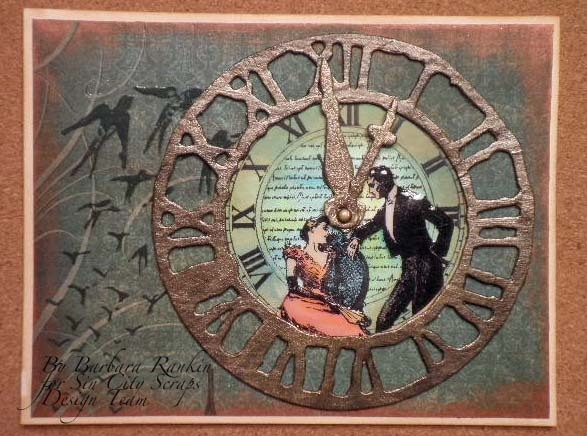 Glue clock piece to front of card. 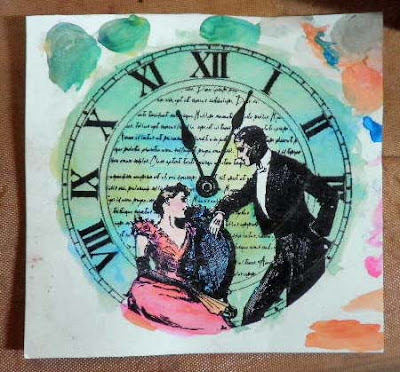 I hope I have been able to inspire you to try some of Sin City Scrap's wonderful stamps, and shown another way to make them really stand out on your art work. So go on over to their online store and check out their fantastic products. 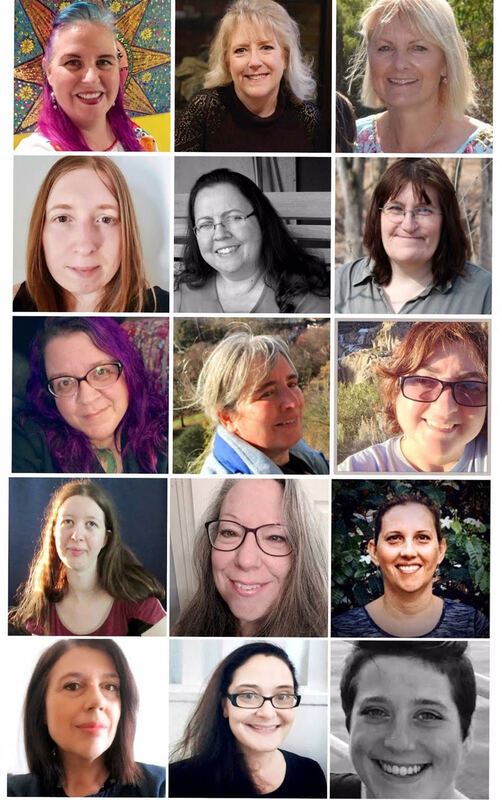 And while you are there, you might like to visit their blog to see what else the design team has made to further inspire you and get those creative juices flowing. If you would like to see more of my work, I invite you to visit my blog at Black Hole Art Studio.